There are many ways you can entice more shoppers to your eCommerce store but how to you keep them there and increase the amount of time they spend engaging with your brand? By using creative and informative visual content it is easy to enhance the shopping experience for customers and encourage them to spend longer discovering products on your site. As visitors to your online store, can’t touch, feel or sample your product, it is essential that you provide them with enough information about what you are selling to make them feel confident in their purchase. It’s no surprise that online shoppers prefer browsing for products with richer content and brands simply can’t afford to underestimate the power of visual communication. Implementing strong visual messaging can build trust and increase conversions with more than two-thirds of consumers claiming that eye-catching images influenced their purchasing decisions. 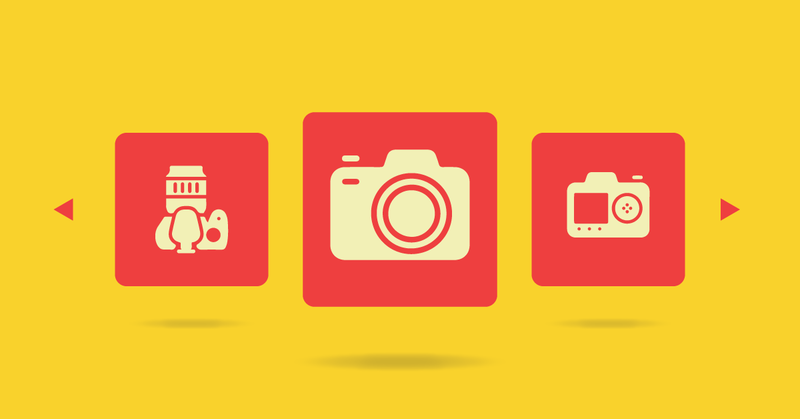 Improve your listing image selection by capturing professional photos of your products. Simply investing in high quality, well lit photos can increase conversion rates by a massive 40%! Good quality photos don’t come cheap but are worth the expense as they will vastly will improve how customers perceive your brand. However, if you prefer to use your own images, implementing a third-party eCommerce plugin like Pixc can help professionally edit your photos and remove the background for consistent product listings. Don’t feel like everything has to be shot on a white background either, try and differentiate yourself from your competitors by innovating and giving your eCommerce its own unique look and feel. With all the competitor content out there, and popularity of dropshipping, it really pays and have a distinct visual identity. You might not be the only store out there selling products from your inventory but you can be original in the way that you display them online. While you are photographing your product is is important to capture it from all angles. On average, your customer will engage with a whopping 11 pieces of content prior to purchase which means that means that more information you can share with them on your website, the easier you will make their decision process. You can shorten your customers journey to the checkout by capturing all of the details of your product and preempt any questions they may have. This will help make your customers feel confident in their purchasing decision and ultimately decrease return rates. In addition to depicting the finer details of your products, it is important to also demonstrate your products in use. This is a clever way to help your customer identify with your brand and imagine how well it would fit into their home or complement their lifestyle. Companies like Creatively Squared specialise in creating in-context lifestyle imagery and by using the right photos, you can transform any object into an experience by capturing a visual story of how it will be used, who will use it, and where they will be using it. Infographics are a clever and engaging way to visually communicate important information about your product or business. Simply by visually representing the information you wish to share can improve retention by up to 65%, and infographics are three times more likely to be shared online compared to other types of content. Well placed infographics can also be used break up the monotony of text heavy pages as your audience will be more likely to scroll through more content if they have engaging imagery to look at along the way. To put this into action in your eCommerce store, think of images that could help explain your customer journey, products, and services and then add them to your website in visual form. For example you could use infographics to share information such as your nutrition facts, sourcing practices or purity standards in an engaging way that people will actually remember. Video content has been shown to increase engagement, and encourage consumers to spend longer on your site as most people would rather watch videos than read description. You can also give your customers the full 360 degree experience of your product by adding videos on your product page. This will help you more accurately showcase different aspects of your products that your customer couldn’t necessarily see within a static photo. Multimedia assets will result in easier product discovery and can increase purchases by 144%. Adding these real-life, customer created images to your product listings will help build social proof for your brand and create visual reviews of your products. Your audience love to see how other people use, wear and display products from your brand. Sharing customer photos will help them perceive your brand as more trustworthy and authentic and it may even encourage future customers to share images of their own purchases. Generating customer content is great for your brand and it’s no surprise that 92% of consumers trust online content created by their peers above all other forms of advertising. Sharing your customer photos will reduce landing page bounce rates and help increase product discovery. It is important to note that while it may be acceptable to re-share user generated content on social media, it is essential to obtain permission from the original content creators before you republish material from any other platform onto your website. There are many third-party services like Pixlee that can help you track down your customers content and gain the correct permissions to use it on your online store.